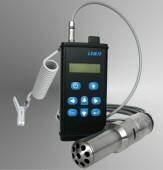 LEMIS Process is an international manufacturing and service organization, that specialises in the design and supply of online; in-line; in-tank and others process analysers for petroleum, petrochemical, environmental, food and beverage, pharmaceutical, marine and power and general chemical industries. We provide full range of Density Meters, Viscosity Meters, Level Gauges, Flow Meters and various combinations for: Density - Viscosity - Flow - Level solutions. Custom design ensures that the optimum performance is achieved and that process benefits are maximised. LEMIS Process is a Company that prides ourselves on quality and customer satisfaction, as our customers come first. And we are always trying to find new ways in developing our products, so that our customers can have the most up-to-date technologies for their density and viscosity measurement requirements.